Made for the Tornado 24 inch EZ Floorkeeper auto scrubber (99130), this 24 inch firm bristle poly scrub brush works great for everyday scrubbing. Replace your pads with this brush today and outlast your pad 100 to 1. We offer a complete line of autoscrubber brushes if you are looking for other options. We also have supply a full range of other walk behind floor scrubbers and rider scrubbers available in different gallon capacities and scrubbing widths. Customers who were interested in the Tornado® 99270 Blue Everyday Floor Scrubbing Brush were also interested in the following items. 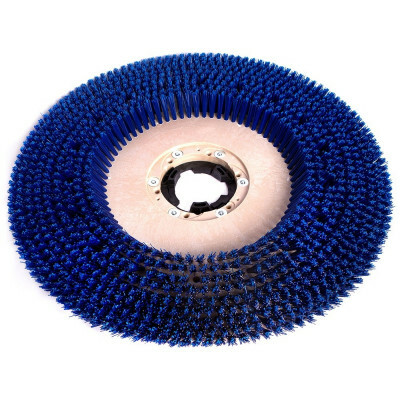 This is a review for the Tornado® 99270 Blue Everyday Floor Scrubbing Brush.